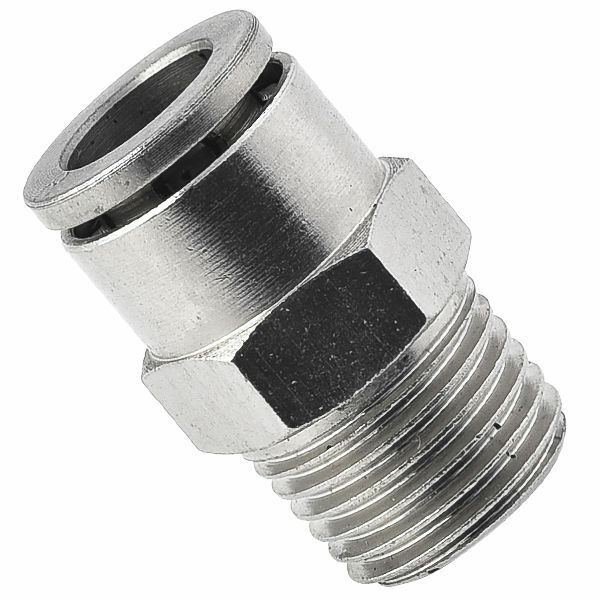 Brass push to connect fitting male straight connector connects pipe or tubing on one end and has a male thread connector on the other. Brass push to connect fittings are an excellent alternative to those made of plastic materials. Main difference is their increased durability. Accommodate metric tubing O.D ranging from 4mm to 16mm, inch tube ranging from 1/8" to 1/2"; thread sizes range is from BSPT and NPT 1/8 to BSPT and NPT 1/2.